Thanks to some inspiration from 2E0DFU I have repaired my network connection to the attic (it had been cut to use as a pull-through when I installed new feeders to the loft!) 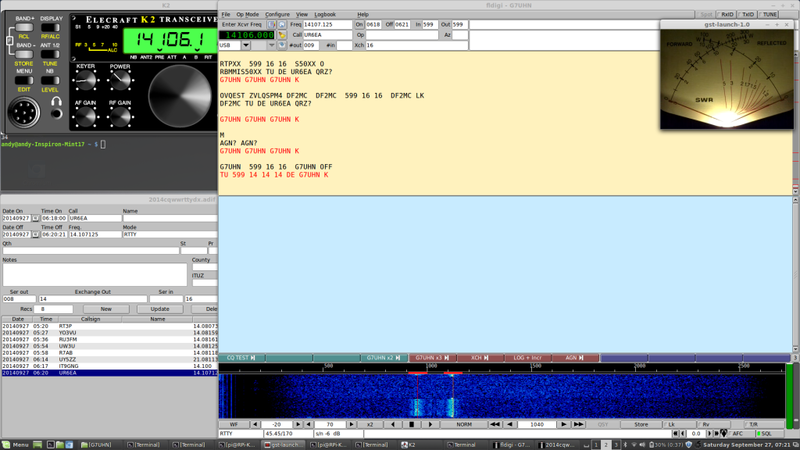 and have my SoftRock Ensemble II SDR receiver back online. 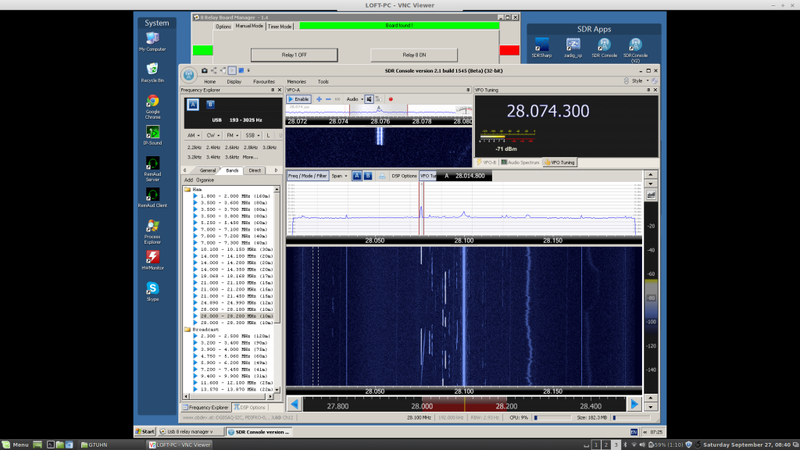 Using the SoftRock as a wideband receiver makes it easy to locate activity across the band.